Collaborating with Google and Qualcomm, the "Tambour Horizon" will run on Android Wear 2.0. 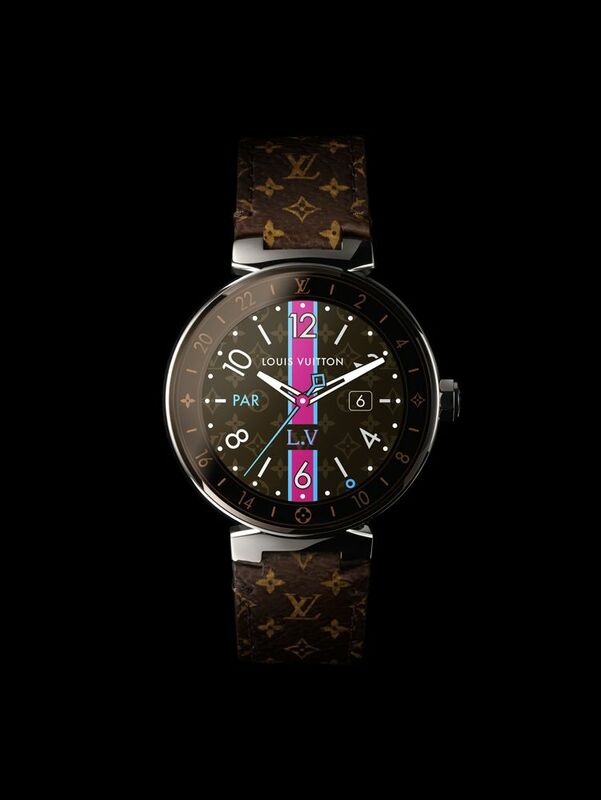 Luxury giant Louis Vuitton has debuted its first connected watch, in the form of the Tambour Horizon. The smart watch runs on Android Wear 2.0 software and is the product of a collaboration between the fashion house, Qualcomm and Google. Equipped with all the usual smartwatch functions—including notifications for phone calls, text messages and e-mails; alarm; countdown timer; weather forecast, and step counter—the Tambour Horizon also boasts a navigation experience and 24-hour display designed exclusively by Google for Vuitton, and will also provide access to Google Play Store, allowing users to download the apps of their choice. In addition, it comes with custom-made typefaces and notifications, including a monogram flower that pops up to say: "You've got mail", and offers two exclusive functions: My Flight, which provides at-a-glance information including flight times, terminal and gate information, reports of delays and remaining flight hours, and City Guide, which has geolocalized recommendations for seven cities, taken from the guides edited by Vuitton.